Lots of threats by elected folk to us ordinary citizens to include Valerie Longhurst and Joan Deaver , sale on restraining orders coming soon. Come on in, lots more Delaware tidbits. Quick update….I am to understand that the missing foal from a volunteer fire department’s carnival has been found. The latest info, as of this writing, is that the foal appeared to have died via broken neck from a fallen limb. Personally this sounds really lame to me but it’s what’s being reported as of this date…10/20.15. So PFAs (protections from Abuse) are more widely available, can’t have enough restraining orders. Also, those restrained will have 24 hours to turn over their firearms. Modeled after other escape rooms gaining popularity across the U.S., Escape Rehoboth is a one-hour race to get out of a “locked” room by solving a series of puzzles and clues related to a storyline. 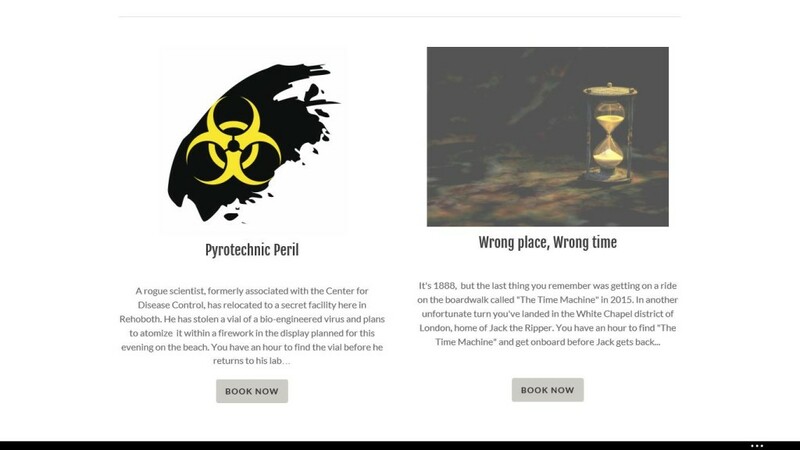 Groups of any size can choose a themed room to solve, from a mad scientist’s laboratory to a time machine landing in the turn of the century. However, smaller groups arriving at the same time will often be grouped together, which can make for a more interesting experience. Some of my corrections and clarifications below are a little behind time , I do apologize. But I got around to it, give me credit. I mistakenly stated that the Pope hadn’t been to America since 1965 in a recent post. To clarify, the Pope had not addressed both sessions of congress since 1965. There have been quite a few Pope visits since 1965. A reward being offered by the Chincoteague Volunteer Fire Company for a stolen pony has increased. The reward for 5-month-old Dreamer’s Faith was initially $1,000; the reward currently stands at $2,300. Police say the pony was stolen from a corral on the Chincoteague carnival grounds on September 6 or 7. The Chincoteague Volunteer Fire Company says they continue to be on the lookout for a white, full-size Chevrolet dual-axle pickup truck, with a white a horse trailer; officials say the pickup was last seen in the corral, with at least two men trying to catch a foal. 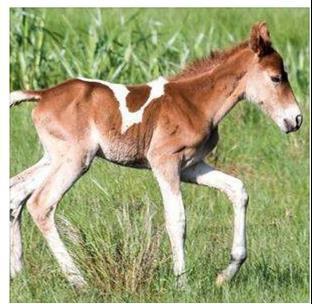 The foal has a brand number of “15” on her left rump and again a reward is being offered for information leading to the arrest and conviction of the person or persons responsible for the pony’s disappearance. Anyone with information should call the Chincoteague Police Department at 757.694.8727. A Dover businessman is facing sentencing after pleading guilty to conspiracy in an ongoing investigation into the lending practices and collapse of Wilmington Trust bank. 52-year-old Salvatore Leone is to be sentenced today (Tuesday) at 2 p.m., almost exactly two years after pleading guilty and agreeing to cooperate with federal prosecutors. Leone faces up to 30 years in prison and a $1 million fine, but court filings indicated that prosecutors have asked for a downward departure from sentencing guidelines. 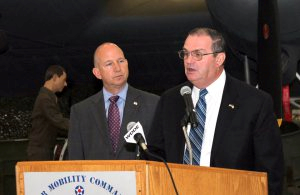 Leone was a business partner of Michael Zimmerman, a prominent Dover developer who died in January while awaiting trial on charges of conspiracy, money laundering and making false statements to a financial institution. Wilmington Trust’s former president, Robert Harra Jr., and three other former top executives were indicted in August on fraud and conspiracy charges. I reported on the Leg hall fire in this article and lambasted the slow release of information. Officials are assessing the damage caused by a fire in Legislative Hall, and the building remains closed after a smoky fire forced its evacuation. The Dover fire marshal says the blaze, which broke out Wednesday afternoon, was accidental and caused when an exhaust pipe in the attic ignited combustibles. A police officer and a firefighter were treated for smoke inhalation after the fire. State officials are assessing the damage and estimating what it will cost to repair the damage to the 1933 building. It is unclear when the building can be occupied. Meetings are being held in the nearby Tatnall Office Building while Legislative Hall remains closed. HOW DARE YOU QUESTION THE RAISES WE GIVE OUR STAFF? She’s the Delaware House Majority Leader and she doesn’t take kindly to people questioning how she pays her staff. It’s a longish quote below, I know, but take a look at the nerve of this elected cretin as she bombasts a citizen exercising their right to free speech! House Majority Leader Valerie Longhurst is under fire over an email response she sent to the University of Delaware and one of its employees who questioned and criticized lawmakers over exclusive raises given to legislative aides. Fran Fletcher, a policy scientist at UD, sent an email from her university account to Longhurst and other lawmakers last Wednesday, writing to express her “total disgust” with the raises, some of which were substantial. She questioned where the lawmakers stood on the issue and asked what they would do about it. 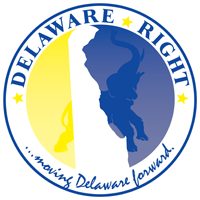 Legislators’ emails are not considered public records under Delaware state law, but the exchange and succeeding emails were obtained by The News Journal. “I am outraged that someone from leadership would use their position to threaten a constituent and their job because she asked questions about an article in the paper,” Rep. Kim Williams, D-Newport, wrote in an email to House Democrats. Longhurst copied UD interim President Nancy Targett in her response last Friday that explained how the raises were given and pointed out that lawmakers control the purse strings for Delaware’s institutes of higher education. Some lawmakers have roundly criticized Longhurst, accusing her of intimidating and bullying a constituent who was only exercising her right as a taxpayer. Fletcher, the UD employee, also a consultant for a General Assembly-led task force on education, did not respond to requests for comment. In a further follow-up email to UD lobbyist Rick Deadwyler, Longhurst sought clarification about the original email from Fletcher that is on “the University of Delaware’s payroll” and whether or not her email, sent from her work account, was the official position of the university, Longhurst wrote. “You even go so far as to imply that Ms. Fletcher has somehow violated her work privileges in what appears to be a not so subtle attempt to have the University initiate some sort of reprisal against her,” Kowalko wrote. Deadwyler, in a statement provided by UD, said that Fletcher does not represent the university’s views. Fletcher was not sanctioned by the university for her email, he added. Earl Jaquea thinks those of us who opt our children out of the horror of Common Core, no matter what they call it, are making bad decisions. Delaware State Rep. Earl Jaques can’t let it go. He hates parents opting their kids out of the Smarter Balanced Assessment. Last night, at the SBOE SBAC Pizza Party, Jaques said “Parents make bad decisions for their kids.” This was in reference to a question posed to participants about why 3rd graders may have done better on the Smarter Balanced Assessment compared to 8th graders. While he didn’t come out and speak about opt-out, he briefly glanced over at me while he was saying this. I was at this meeting for a very short time, but fate must have dictated I be there to hear Jaques’ latest rant against Delaware parents who must not know how to raise their children and must bow down before the all-knowing Earl Jaques, his buddies at the DOE and Governor Markell. They know better than us how to raise our children. They felt the need to shoot out car windows in an innocent and fun local event. Bridgeville Police say they need your help to find the person or persons who used a BB gun to shoot out windows of several cars parked at Apple Scrapple over the weekend. Heh. I just gave the woman an attaboy for her suggestion that DELDOT be thanked for doing a good job. Seems Joan is promising that next election the so-called “one percenters” will be paying to clean up the water in this state. Joan made this threat, with these one percenters allegedly the top 1% income earners who should pay for everything as the Democrats see it. Wrote this in the Cape Gazette as I am to understand. 2 Comments on "Political Gossip and Tidbits Wandering About The Small Wonder That is Delaware-The 10/19/15 Edition"
Earl Jaquea (sic) thinks those of us who opt our children out of the horror of Common Core, no matter what they call it, are making bad decisions. Who cares what a dimwit with a mail-order degree from Columbia Southern thinks? I thought the banks failed because the evil government made them loan money to poor minorities who didn’t deserve the loan because of the community reinvestment act? And to think I actually believed this lol.